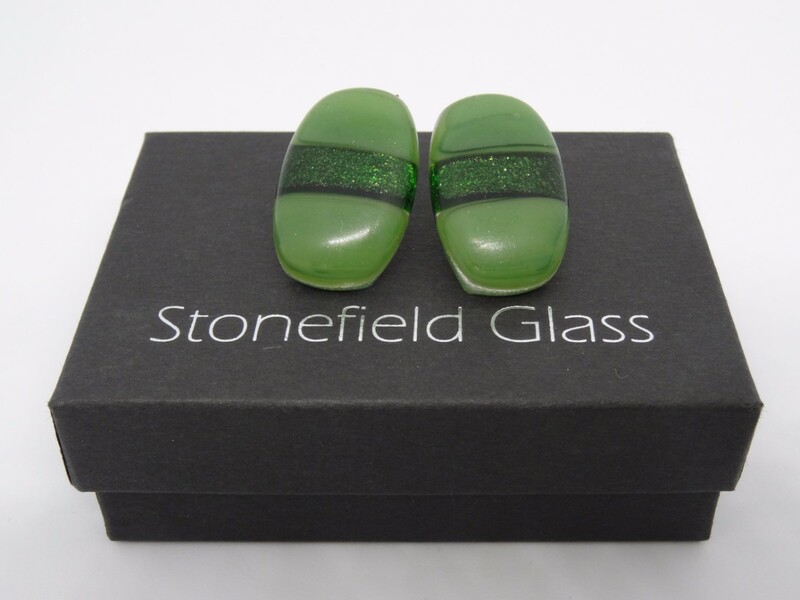 Large stud style fused glass earrings with aventurine green detail. 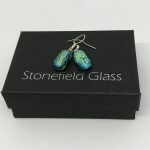 Large stud style fused glass earrings with aventurine green detail. 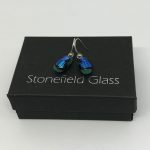 Dichroic glass is created by stacking micro-layers of metals and oxides within glass, giving it colour-shifting and iridescent qualities. 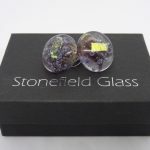 As all our jewellery pieces are individually hand-made, there may be slight variations in size, colour and design. We think this just adds to their beauty.